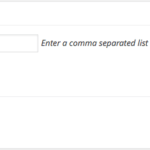 WP Plugin: Where did they go from here? Ever been on Amazon.com and seen the “Customers Who Bought This Item Also Bought”. So, why not apply the same concept to your WordPress blog? 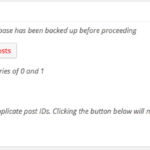 I’ve upgraded Mark’s plugin with an admin interface that lets you customize the maximum number of posts to display, the title of these posts. You can choose to include these automatically in the content of the post as well as in your feeds. These will take a while to show up especially if the number of visitors is low. Read more and download Where did they go from here?